With the Mentor Meet, Crossing the 1st Threshold stands between the protagonist’s ordinary life and the transformation that will occur. The first three stages of the Archetypal Story Pattern belong to Separation and Departure, events driven by danger to and sacrifice of the dear (see the May 20 blog). This segment begins with Meeting the Mentor and has six stages of the Archetypal Story Pattern. Initiation can be ceremonial, a purification ritual performed by a shamanic mentor before the protagonist launches into the journey s/he is forced to take. Most often, however, the initiation is the first major difference that the protagonist must adapt to. This difference forces a new perspective on the protagonist, opening her/his eyes to culture or deeds or concepts that s/he never considered before. The door of the threshold has opened; now the protagonist must step through–and s/he now encounters the first true death-dealing danger. S/he Crosses the 1st Threshold. Old clashes with New when the 1st Threshold is Crossed. In the world of symbols and archetypes, a threshold is a transitional moment. Death is the greatest transition. 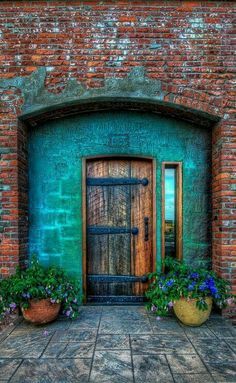 It is the door threshold, when we move from this existence to an after-existence. Crossing the threshold means the protagonist completely leaves the known. S/he enters an existence never contemplated while in the Ordinary World. Similar to Alice’s plunge into the Underworld, the protagonist encounters rules and ideas and items and people who are radically different. When contemplating story, writers do not often consider that which must be completely different in the protagonist’s world. Yet the challenge of this conflict is a crucial opening step for the transformation. A diamond must be cut and polished before it shines. Whether starting a new job, entering a new relationship, re-planning a life that had to be abandoned, or changing old ways that failed in the old world, the protagonist has the new to force her/his adaptation. The Latin Interrogatory 7 is helpful when examining the 4 Newbies. What has changed? Who has changed? Does the Newbie maintain any trait that it once had? Have the old traits become tricky? That is, does the Newbie veer between old and new without explanation? Have the changes created a wall that blocks any attempt to use old understandings about it? How is it/are they different? Discovering this can take time. No one can scan the new, especially the completely new, and understand it immediately. Those differences might be masked, only appearing when the protagonist triggers something. Where & When? Is the change random or in a completely new pattern? Will it follow the newly established pattern until another trigger changes it? By Whose Aid? If someone or institution or other major element forces the new, the protagonist may not at first divine that influence. The discovery of the mastermind could be a slowly unveiling process. Or it could be a traumatic flash that causes the protagonist to retreat. Retreat, however, is not a possibility. The threshold is crossed. Return is not possible, not at this time, and maybe never. Why is a crucial question which may take a good section or even the entire story to answer. 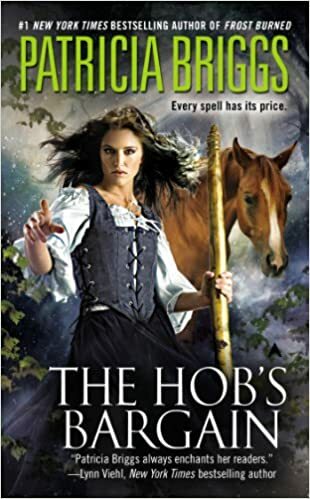 In Patricia Briggs’ Hob’s Bargain, the protagonist Aren is shoved out of her old life into a new one. Widowed and orphaned in one event, she fights against accepting the change, only doing so when she is compelled to help others survive against raiders. Aren crosses her first threshold on a journey to a neighboring village. She survives an attack by a strange creature that embodies the beauty and the danger of the new world. Her survival depends upon an even stranger creature, the Hob. However, Briggs is smart: she reveals the Hob a step at a time, increasing our suspense and anticipation. When the Hob is mostly revealed, he becomes a means to help Aren cross the second threshold to even more of the strangeness of her transforming home. Each revelation changes Aren herself, as she learns about her innate powers that she had kept hidden and unpracticed in her old world. Because of the dual threshold, Aren becomes the heroic protagonist, saving everyone because of the unique powers she first understood in her second threshold, taught to her by the Hob who is revealed in her first threshold. The key to a writer’s examination of this stage is to consider the necessary elements of the threshold. We should not dash through this stage. And we must remember: this is crossing the FIRST threshold. More will lie ahead. Indeed, more thresholds must occur. To survive the darkest stage of the journey, the protagonist must learn from multiple crossings. The old ways do not have to die. New ways, however, must be understood and adapted to. To slam totally strange newbies at the protagonist is unfair for both character and audience. Do plunge your Alice across a threshold into an Underworld. TAE may look like only one stage of the Archetypal Story Pattern, yet it contains multiple sections of story. Watch for 4 blogs on this stage as we battle the heat of summer.